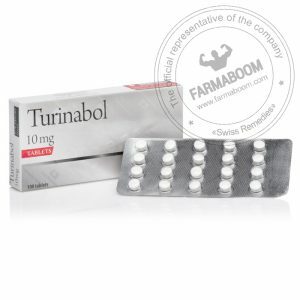 TURINABOL is a 17-alpha alkylated anabolic steroid for oral use. 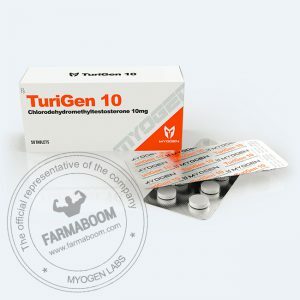 It promotes anabolism through androgen receptor activity and is strongly anabolic and moderately androgenic. When taken in clinical doses, it produces potent increases in strength and moderate increases in muscle mass. In short term clinical trials, it has been well tolerated in healthy male subjects during 6 weeks of treatment. CAS number: 2446-23-3. Dosation: 100 tabs/bottle. 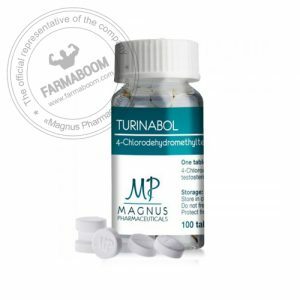 Turanabol is a great anabolic. It’s better than D-Bol in our opinion. It is highly anabolic, without the androgenic side effects, and it doesn’t aromatize or raise your blood pressure like D-Bol tends to do. You can expect about a 10-pound gain off of a simple cycle with T-Bol in it, during a diet phase, and about 15 pounds when not dieting. A common dose should be 40 mg a day for 8 weeks for a cutting cycle, or 75mg per day for a weight gain cycle. There’s little if any water retention, etc., but it’s a little weaker than D-Bol in terms of a real weight gainer. What it’s really closest to in results and lack of side effects is Winstrol. 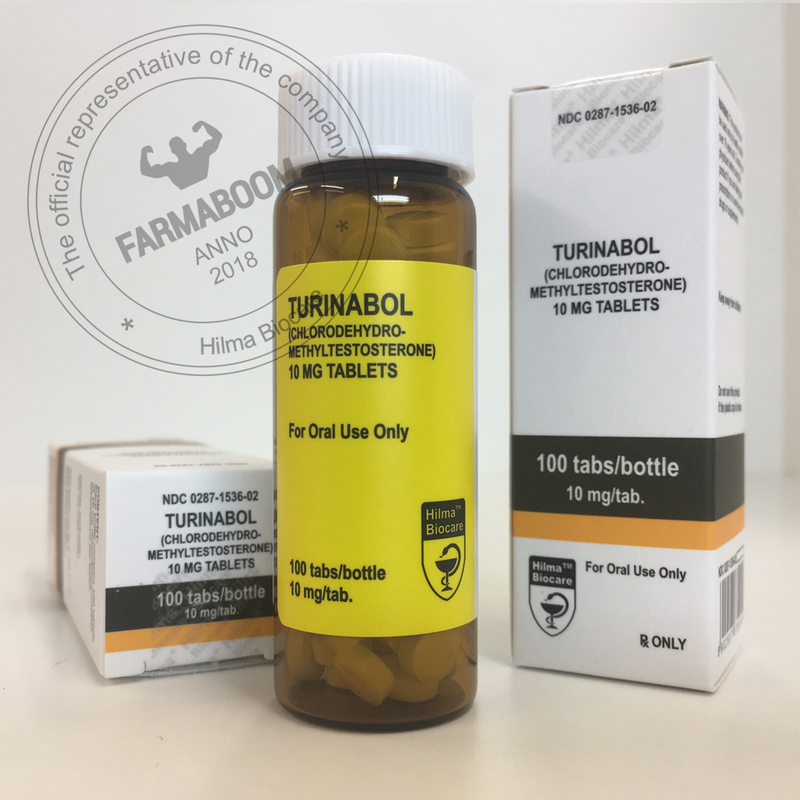 But keep in mind that T-Bol is not very good for fast results, as it is so mild and should be combined with other anabolics to get its full effect. T-Bol is great in all-oral cycles, like Winstrol, Anavar, etc. Availability can oftentimes be difficult though, so if your buddy has it, snag some off him before he runs out! This alteration makes chlorodehydromethyltestosterone a milder cousin of Dianabol, the new steroid displaying no estrogenic and much less androgenic activity in comparison to its more famous counterpart. The anabolic activity chlorodehydromethyltestosterone is somewhat lower than that of Dianabol as well, but it does maintain a much more favorable balance of anabolic to androgenic effect. This means that at any given level of muscle-building activity, chlorodehydromethyltestosterone will be less likely to produce androgenic side effects. Men: A common clinical dose of chlorodehydromethyltestosterone is estimated to be 5mg per day; actual prescribing guidelines are unavailable. In the athletic arena, an effective oral daily dosage falls in the range of 15 – 40mg, taken in cycles lasting no more than 6 – 8 weeks to minimize hepatotoxicity. Woman: A common clinical dose of chlorodehydromethyltestosterone is estimated to be 1 – 2.5mg per day; actual prescribing guidelines are unavailable. In the athletic arena, women would commonly take a single 5mg tablet per day, taken in cycles lasting no more than 4 – 6 weeks to minimize hepatotoxicity. Virilizing effects are unlikely at this level of use. Much higher doses often used with fiale athletes in the former GDR doping program, but often to detriment of strong virilizing side effects.